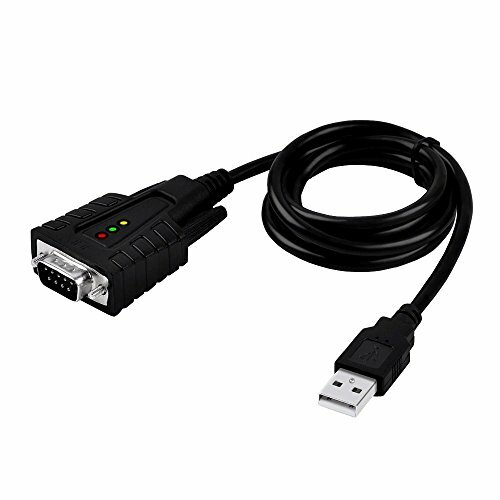 The Top-Longer USB to RS232 DB9 Serial Male Converter Adapter Cable is designed to connect serial devices such as DB9 equipped PCs, routers, GPS, barcode scanners, label writers, serial modems, digital cameras, card readers, palm PCs, Cellular Phones, PDAs, or ISDN Terminal Adapters through USB port with over 1Mbps data transfer rate. ● Powered by USB port, no external power adapter required. We use only genuine Prolific chips. There has been a problem with some other USB serial adapters in the market using clone chips not actually from Prolific. These adapters will not work with Prolific's latest drivers, thus won't have support on recent operating systems like Windows 7 64-bit and Windows 8. Because we only use genuine Prolific chips. If you have any questions about this product by Top-Longer, contact us by completing and submitting the form below. If you are looking for a specif part number, please include it with your message.